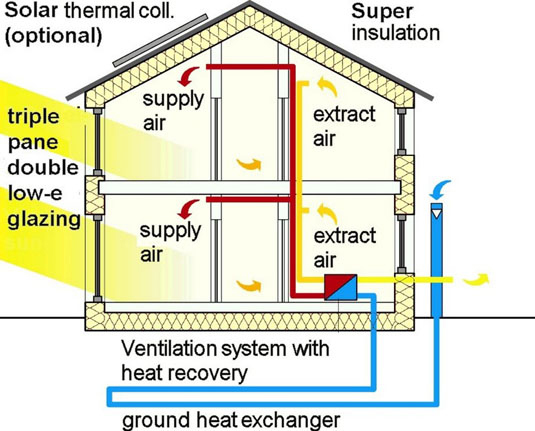 The Passivhaus has its roots in the USA in the seventies, when Amory Lovins proposed super-insulated houses that could be warmed by a hair dryer. They caught on in Germany, where Passivhaus became a standard that is being followed all over Europe. Now that building standard is coming to America. It is really very simple: you pack in a s**tload of insulation, install very high-performance windows, seal it up tight as a drum and install a very good mechanical ventilation system so that you don’t suffocate. Or They can be built in temperate climates, like the O’niell House in Sonoma, California. 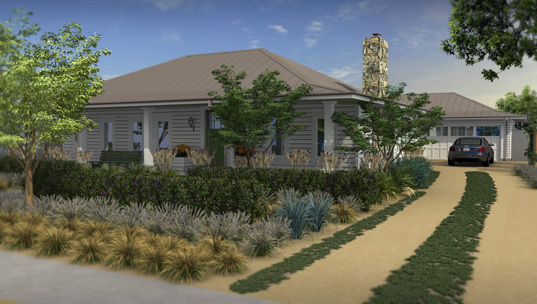 It uses 70% less energy than a conventional northern California home. Treehugger has noted that we should forget energy star and LEED — the new green building standard is Passivhaus. The Passivhaus standard isn’t just for new construction, either; It can also be used for renovations, but it isn’t easy. It is also being used for multifamily structures, like a proposed co-housing project in Brooklyn. The New York Times gave it a great graphic explanation of how it works. But not everyone is convinced that it is perfect; Alex Wilson of Greenbuilding.com thinks that it might be a bit inflexible for America. Katrin Klingenberg, who brought the Passivhaus to America and runs the Passive House Institute, uses the Anglicized term Passive House. I think, like the British, that we should keep the term Passivhaus as the descriptive word for the standard; passive design is becoming common, but is not the same thing. For those of you looking for super insulated building components, I thought it might be of interest to point out Eco-Panels: www.eco-panels.com They offer an R-60 wall, roof, or floor panel that is only 8.5" thick with multiple skin options depending on the design/code specifications. Have a happy 2012! 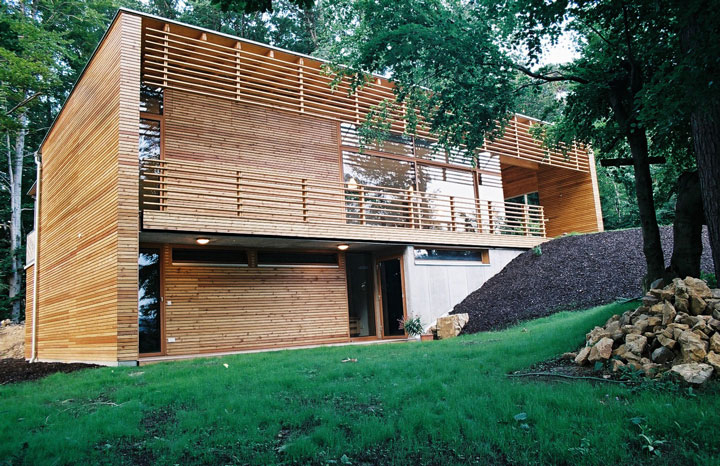 I think Passivhaus standard works great for two kind of homes: 1. Homes which are located where the climate is moderate; neither too hot nor too cold 2. New homes. Passivhaus doesn’t address how we can make the existing buildings more energy efficient without undertaking a huge renovation effort. And, if we want to address the climate issue, making existing buildings green will be a big an important part of it. These issues can be addressed by relaxing some of the requirements for heating and cooling for extreme climates as well as more appropriate standard for energy efficiency in existing buildings existing buildings. You are righht - it is in principle quite simple. But most important is: It is tried and tested, it really works. In Europe not only for dwellings, but also for offices, kindergartens, schools, supermarkets, ... And, what might be even more important: It is healthy (fresh air) and very comfortable (ask anybody living in a passive house). When we built the first experimental house in Germany 1990, we have been in contact with Amory Lovins - and we have of course learned from the early US experience (William Shurcliff and others). 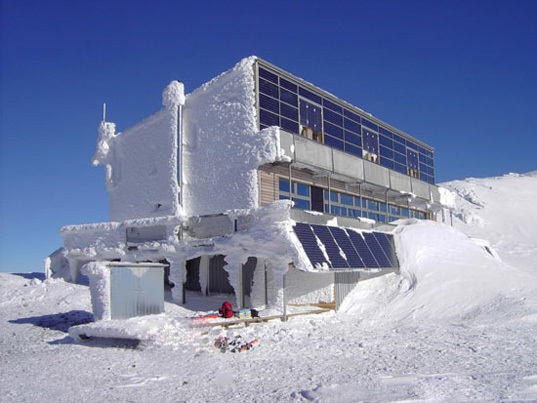 Nice picture of the Schiestlhaus on the Hochschwab in Austria. More information on this projekt is available at www.schiestlhaus.at. Since it is built in a remote region, all systems are developed to function autonomously with no links to any grids at all. Just read through the offical homepage, it includes all details on the project. Thanks for creating this post, Lloyd. I am a board member of the Passive House Alliance, a trade organization for Passive House in the U.S. We are a growing community of designers and builders with about 100 people certified as Passive House Consultants. May I suggest posting a link to the Passive House Institute?